Forums » General Help and Questions » Is there an option to charge for additional persons? 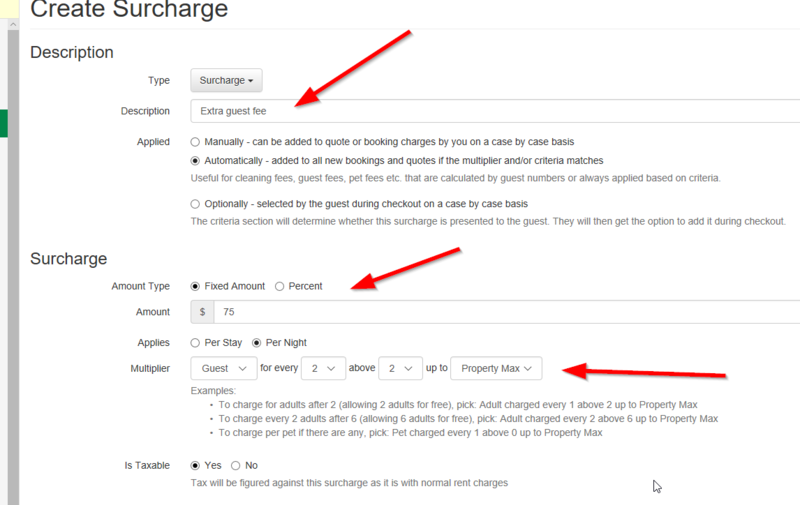 Is there an option to charge for additional persons? The villa sleeps 4 total but we often book it for only 2, locking one bedroom and one bathroom. If someone books for more then 2 people it's $75 more a night. Is this an option? Thanks... I found that.. My situation is we charge $75 for the 1 or 2. We lock one bed and one bath for only 2 guests and open it for 3 or 4 guests. How would i configure $75 no matter if its one or 2 guests? Select $75 per night with no multiplier. 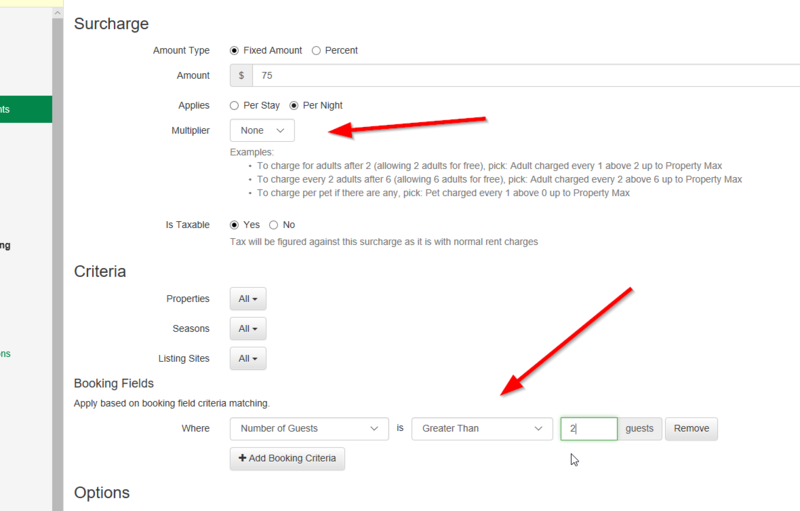 Then down below in the Booking Criteria, select if Number of Guests is greater than 2. This will target any booking that has more than 2 guests and add a flat $75/night fee regardless of who many over 2 they have.